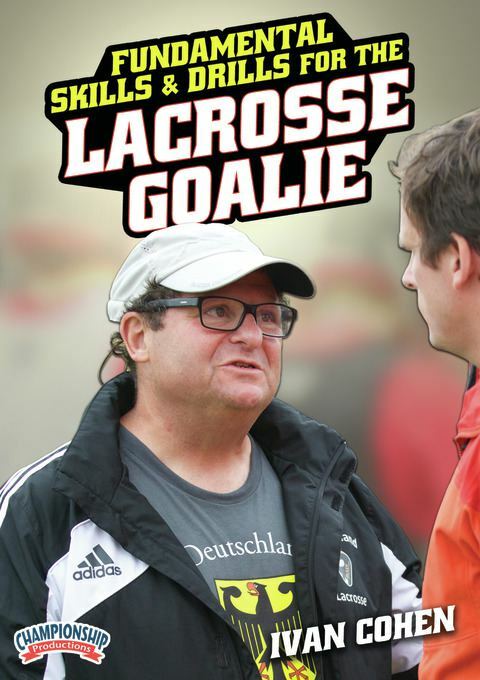 Assistant Coach Ivan Cohen and members of the 2014 German National Team staff demonstrate 13 fundamental goalkeeping drills that Team Germany used to prepare for the 2014 World Games. Beginning with the proper stance and hand position on the stick, Coach Cohen demonstrates how the goalie stick should be held. He shares ways to reduce rebounds and track down the shot. Using a series of drills - from a simple ball toss to situational toss to using the handle of a short stick - Coach Cohen offers a step-by-step discussion on how to successfully increase hand eye coordination while adding a conditioning element. Coach Cohen shares a series of six drills designed progressively warm-up the goalie. He begins by having the shooter move back and forth on an arc about 8-10 yards away shooting five shots each systematically working high to low and strong hand to offhand. These drills focus on handling different shots from different angles using body placement to handle every type of shot. Shot angles include corner shots, time and room, bounce shots and shots coming from around the corner and inside. Coach Cohen puts goalies through a series of breakout passing drills throwing long and outside to on a line to the inside while under pressure. He uses basic field player triangle catching drills to train goalies how to switch hands. Finally, he shows how to play when pressed on the clear and how to reduce the chance for mistakes. Any coach or player can instantly transfer these drills to their own team to increase the skills and performance of their goalies. How to Pitch Horseshoes DVD with Coach Walter Ray Williams Jr.